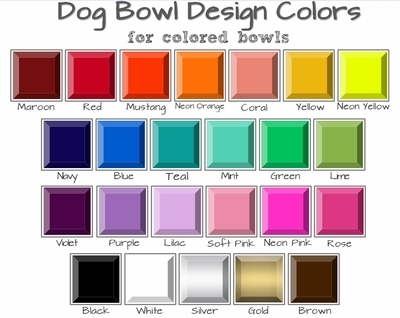 Choose a dog bowl size from the 1st dropdown box at the top of the page. We currently carry 4 size options. 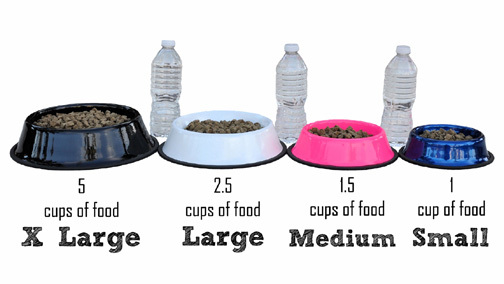 See the picture below for a reference on how big each size actually is. **For customized dog bowls: Choose the "custom" option in the style drop-down box and describe what you would like in the "comments section" during checkout. We will follow-up with you to discuss options and can send a draft version for review. 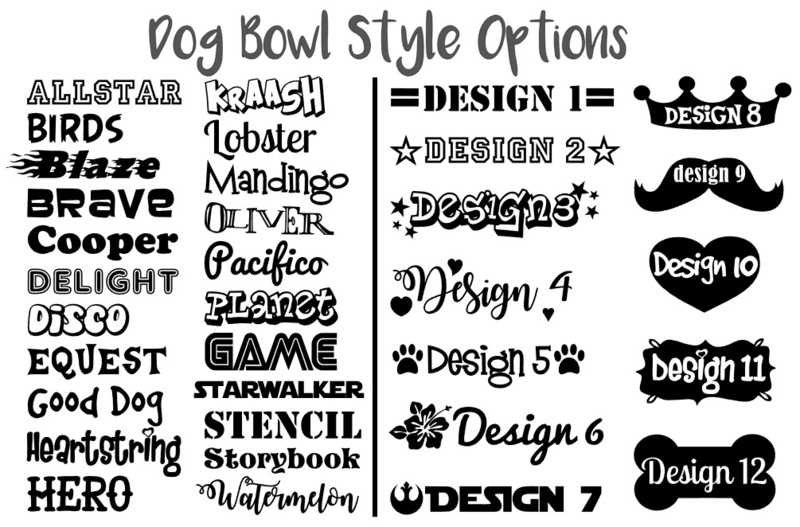 Custom bowl designs will be $5 extra. Type in your dog's name in the text box at the top of the page. Enter a maximum of 12 characters. 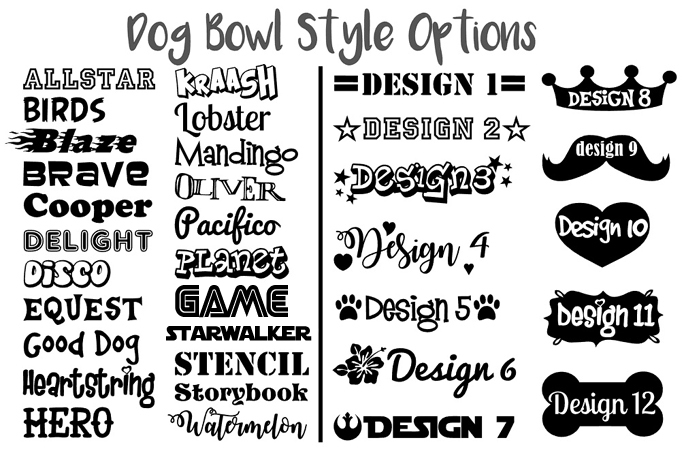 If your dog's name is longer than 12 characters, send us an email and Jenny will be in touch with how to order your bowl. 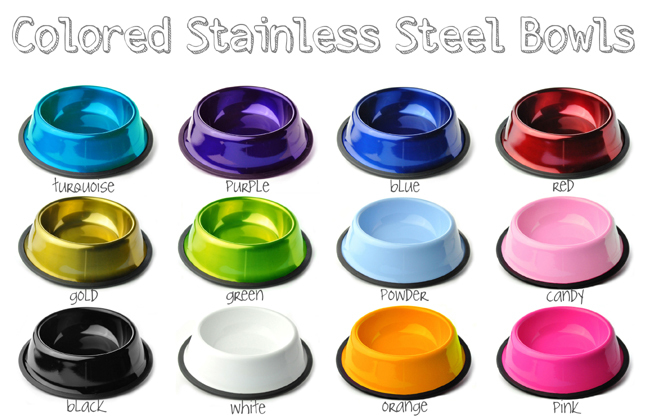 These dog bowls have been tested as safe for the top rack in the dishwasher, but we recommend hand washing. 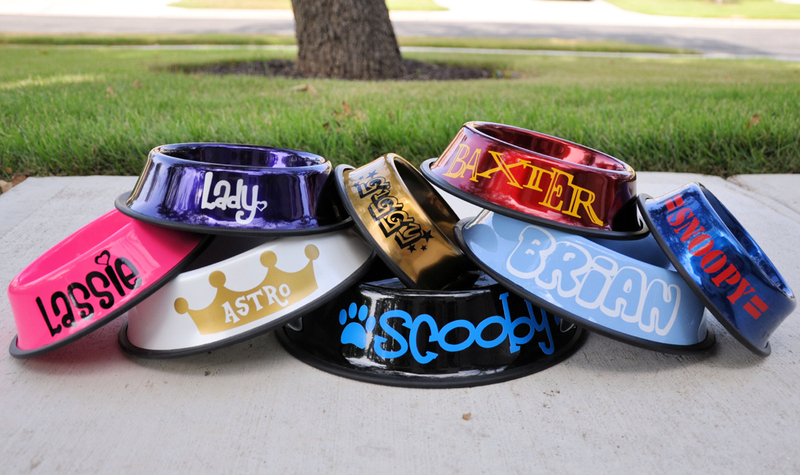 The durable vinyl material used for your dog's name is specifically made for outdoor wear and use. Once attached to the bowl it becomes virtually seamless and should hold up great over time.